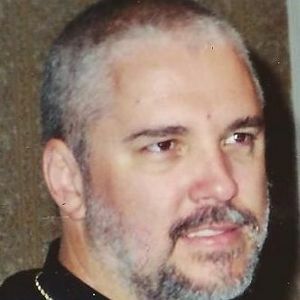 CENTRAL CITY – Richard Lowell Kipling, 51, of Central City, died on Thursday, December 6, 2012 at Methodist Hospital in Henderson, KY. He was born December 29, 1960 in Greenville, the son of the late Robert E. Kipling Jr. And Ella Foley Kipling. He was employed by Perry Hardwood Lumber for the past 16 years. Survivors include his wife, Mary Jane Kipling of Central City, two sons, Richard Adam Kipling of Central City and Jordan(Autumn)Kipling of Nortonville, a brother, Robby(Sue)Kipling of Central City, one step daughter, Adrienne Brown, one step son, Eli Brown both of Central City and a granddaughter, Keira Kipling. 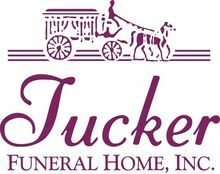 Funeral services will be held at 11:00 AM, Monday, December 10, 2012 at Tucker Funeral Home in Central City conducted by Rev. Gene Garner with burial in the Cherry Hill Cemetery. Visitation will be after 5:00 PM Sunday and from 9:00 AM till 11:00 AM Monday at the funeral home. Expressions of sympathy in form of donations to the charity of choice. I was so sad when I heard about Ricky, I grew up at Cherry Hill with him. We would always play games and he would be on that mini bike everyday. It is great to think of the great childhood life we had at cherry hill those memories of Jeff, my brother Paul Richard, Connie, Me and RIcky made will stay with me always. My prayers go out to his family he was a great guy and will be deeply missed. Robbie, you don't remember me. I baby sat you when you were about 2 years old..I didn't know you had a brother. I am so sorry for your loss. Your mom and dad were very kind to a poor little 15 year old girl that lived on River rd. may God comfort you and your family at this time. So sorry about the loss of Ricky. I have so many fond memories when we were younger. We sure had some fun times ! Our Prayers and Thoughts are with you and the family at this time of loss. Robby and Sue, We are so sorry for your loss. You and your family will be in our prayers.